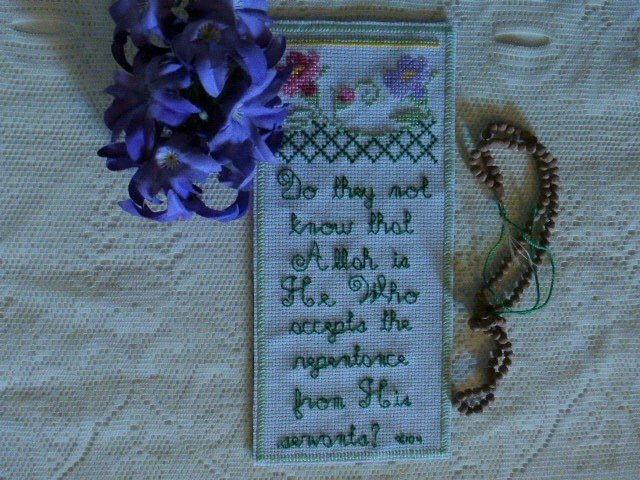 In Surah al-Tawbah, Allah, Al-Tawwab (The Guide to Repentance), asks if we do not know that Allah is He (Allah Huwa) Who accepts His servants’ repentance. It is only Allah, the Most Forgiving, Who forgives our faults and accepts our repentance. Huwa means the Divine Truth and Essence, but is usually translated as the pronoun “He.” It is a code that refers to the fact that Allah’s Holy Being is concealed so much that we cannot even come close to thinking about or imagining or touching our Lord’s Essence. Rather, we have been given the signs of Allah’s Existence which are marvelous, apparent and clear.